Last Thursday afternoon was the latest installment of Innovate Raleigh, Innovate Raleigh 2013: Building on the Past, Creating the Future. If you are a newer reader to my blog, or just not sure what Innovate Raleigh is, you can get an understanding of it from previous post here and here. Although I have been to several of the meetups over the past year or so, this event was, in my opinion, something special. Most of the previous meetups were evening affairs that informed the community about some industry or something specific that is going on in Raleigh that is innovative in some way. Typically before and after the main event, there was open networking and some good food and drinks as well. Well, this one still had a great session of open networking and some great food and drinks from Bolt Bistro & Bar. But that was the only thing that was the same. I enjoy being in the outdoors. Hiking and camping are two of my hobbies I have had since I was a kid. Well, last night I got the opportunity to hear about RGreenway Raleigh, with an App in process (You can also check them out on Twitter). It will ensure that you never get lost in Raleigh’s and the Triangle’s Greenways. I got to hear about them because last night was another Innovate Raleigh meetup. Raleigh Is The Place…For Fashion? Last night I attended a great event launching REDii Raleigh. What is REDii? Well I am glad you asked. REDii stands for Raleigh Emerging Designers Innovation Incubator. Last night was the official launch party and Fashion Extravaganza which featuring some of Raleigh’s dynamic new fashion designers. This is an exciting week in Raleigh! You may just not know it! 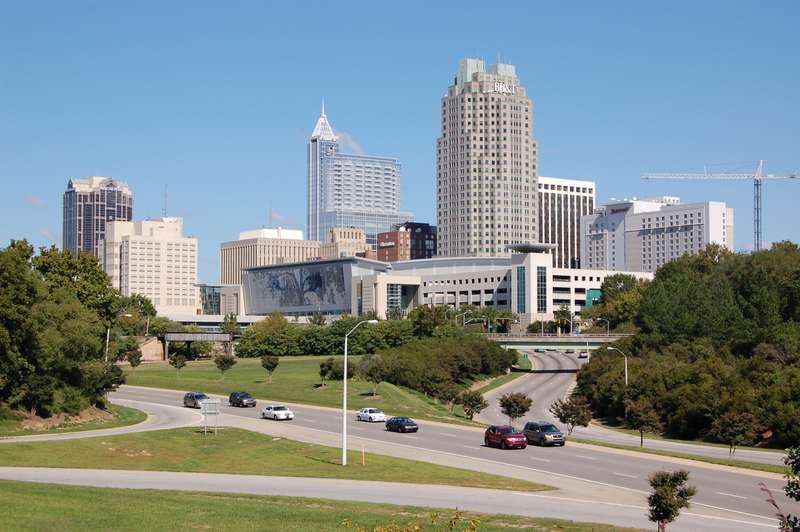 For those reading this that live in the Triangle, we know that Raleigh tops the list of multiple “Top Ten” type list. (You can see the latest news and list here.) However, you might not of some of the events this week designed to help enhance Raleigh. You can continue to follow the discussions on this by going to their website or following #InnovateRAL on Twitter. Ignite Raleigh 3is being held on Thursday evening at the Lincoln Theater. Ignite events were originally conceived as technology variety shows, but they have grown into much more than that. Ignite is about ideas. Ideas can change the world. And it takes less than five minutes to spread one. Each presenter gets five minutes on stage with 20 slides that rotate automatically after 15 seconds. You can continue to follow the discussions on this by going to their website or following @IgniteRaleigh on Twitter. Innovation and Ideas are just not the new buzz words but needs to be focused on how we grow the local marketplace and economy. These two events are just the begining of further improvement and great growth. What are some ways you have seen Raleigh (and the Triangle) grow and what would you like to see?